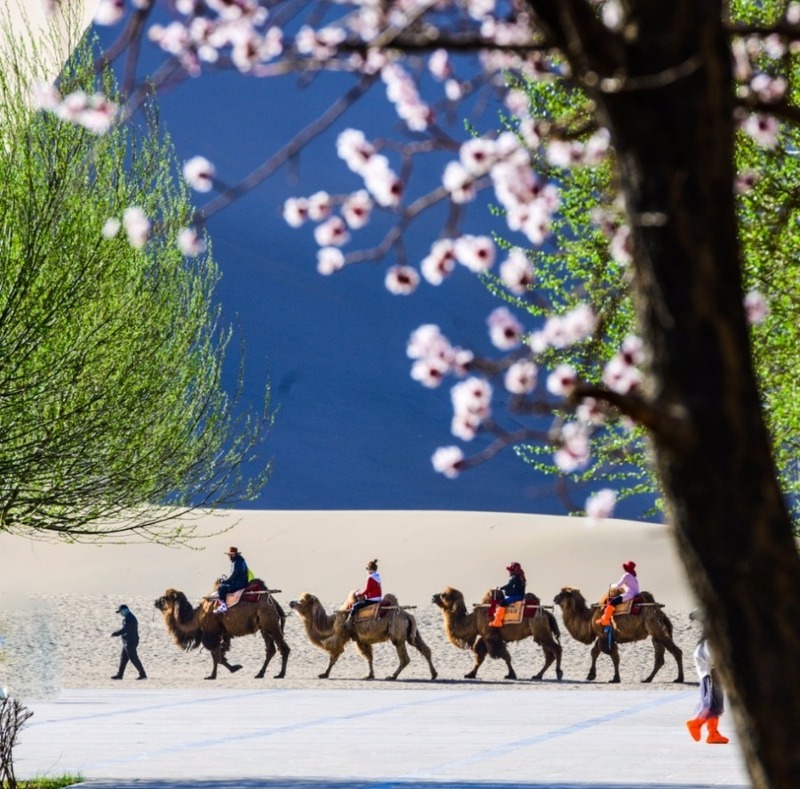 Apricots have come into blossom in Dunhuang city, Northwestern China’s Gansu province. 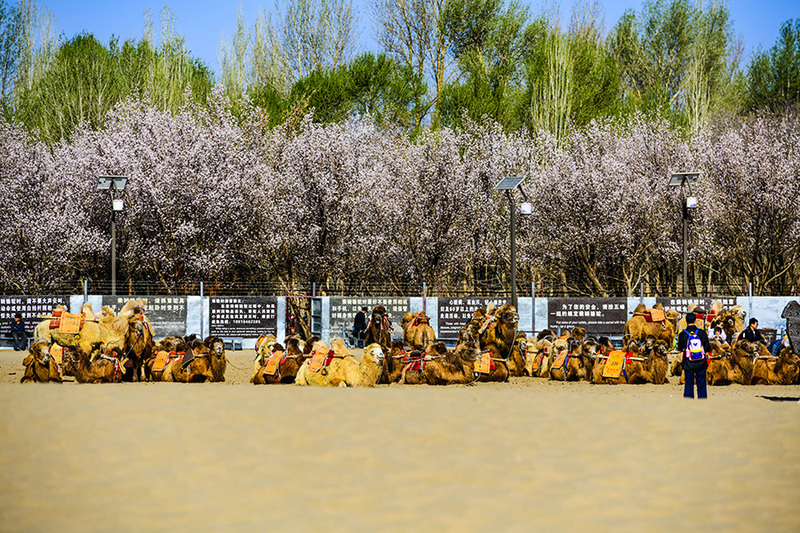 Apricots cover an area of 66.7 hectares at the foot of the Echoing-Sand Mountain (Mingsha Mountain), making the city an ideal destination for spring outings. 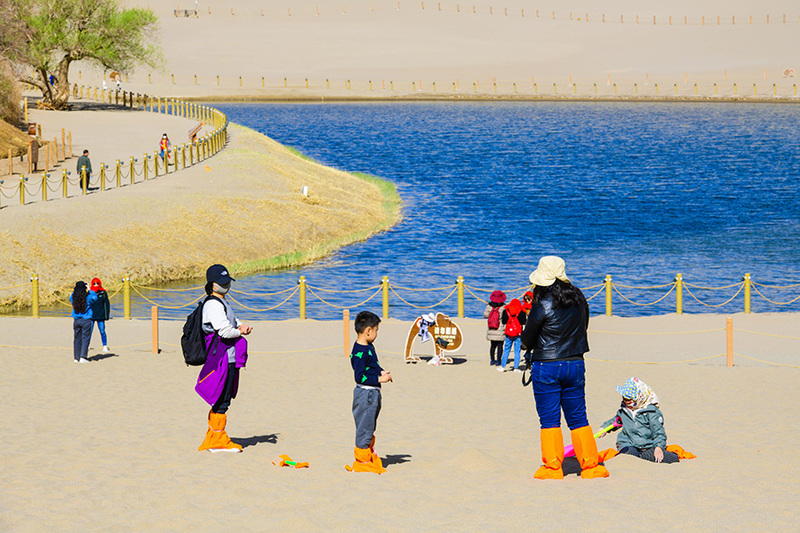 The average number of visitors to Crescent Lake (Yueya Quan) per day in early April increased to 2,000 people, double March’s figure. 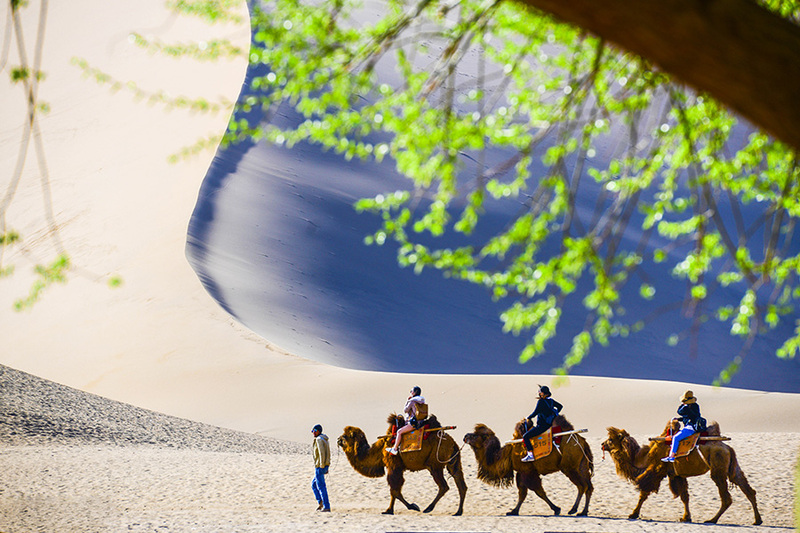 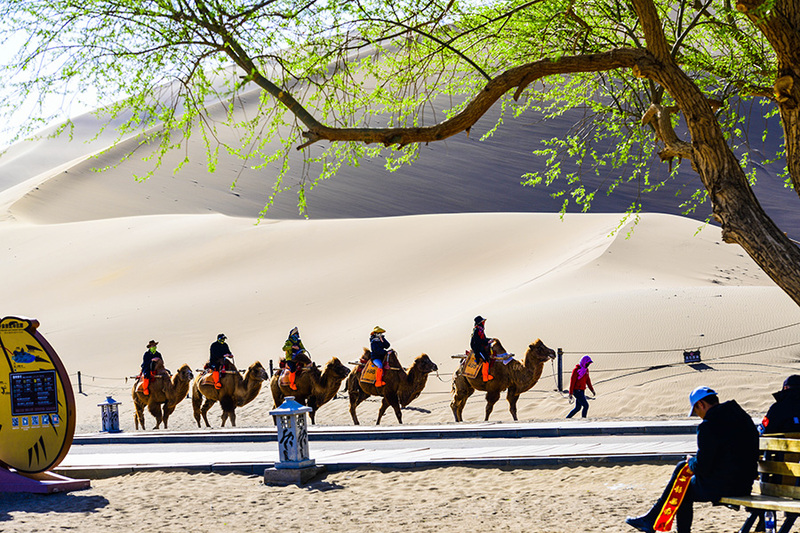 Characterized by its desert culture and Buddhist art, Dunhuang is home to several tourist attractions, the world heritage-listed Mogao Grottoes among them. 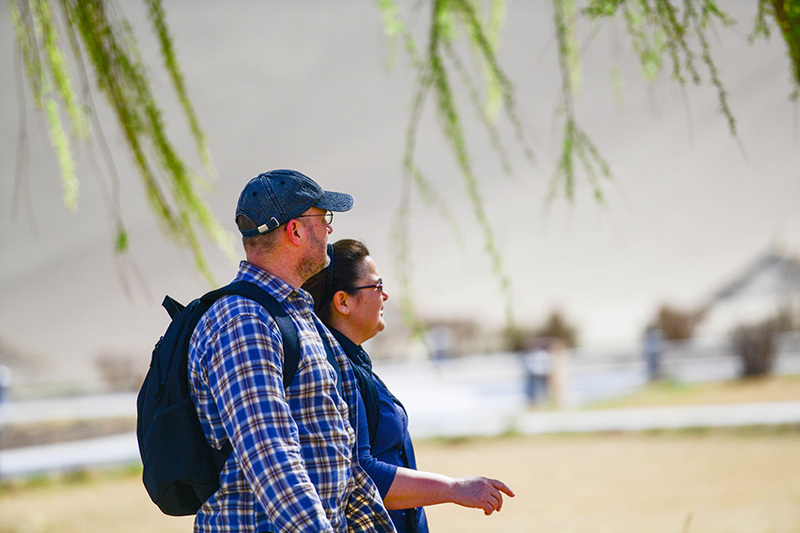 According to the local tourism bureau, the six scenic spots in Duanhuang welcomed 28,700 tourists from both home and abroad during the three-day Qingming holiday period (April 5 to April 7), representing a 5.32 percent increase on last year.